The new highs lows ratio measures the number of securities trading on the New York Stock Exchange (NYSE) that are hitting a 52-week high or 52-week low. The indicator performs this calculation for stocks, preferred stocks, closed-end funds, and ETFs. Traders and investors have used the new highs lows ratio indicator to gauge market sentiment. The greater the number of stocks reaching a new 52-week high, the greater the bullish sentiment. The opposite is true when stocks are hitting 52-week lows. The indicator is most popular for its ability to give a clue into the topping and bottoming process. For example, when the market is making new highs, but there are fewer stocks moving the market - something is off. 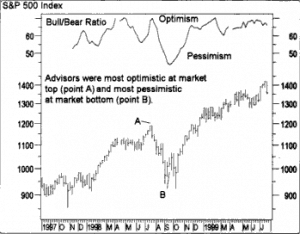 The less participation in the move the greater the likelihood of a pending correction. The hard part like anything else in trading will be timing the correction. As an active trader, divergence in the broad market is not your primary concern. You are likely in trades for a few minutes to hours. Therefore, a pending selloff in the broad market is not your concern. For swing traders, the new high/low ratio is worth a glance at the beginning of each trading week. The picture below shows the weekly number of new highs and new lows across the different exchanges, published by Barrons (click here to access). As an example, the above data for the week ending 23rd February 2017 shows 403 Nasdaq stocks making a new 52-week high against 36 Nasdaq stocks making a 52-week low. The NH/NL ratio, in this case, happens to be 11.19. Applying this to the Nasdaq composite index you can see that the ratio of highs and lows coincide with the high in the index, thus implying the markets are rallying with broad participation. The new highs and new lows indicator go by different names, depending on your charting platform. You will also notice certain platforms applying various configurations, but these all essentially get you to the same place. For example, stockcharts.com calls the new highs lows indicator as the High-Low index. 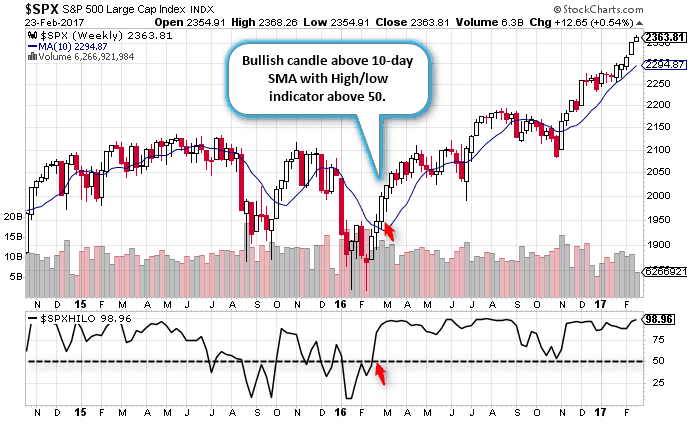 The high low index is a version of the indicator which uses a 10-day average of the record high percent. You calculate the record high percent by dividing the number of stocks making a 52-week high by the sum of all stocks making a 52-week high and a 52-week low. For example, if you look back at the previous data for Nasdaq, (403 NH and 36 NL), then the record high percent is 403/(403+36) which is 0.917 or 91.7%. 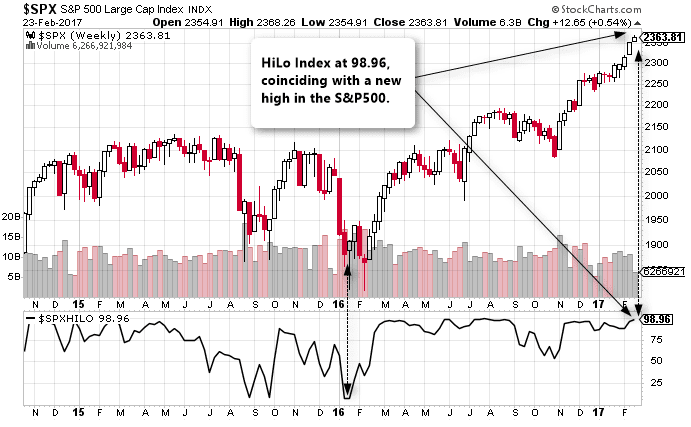 The chart below shows the S&P500 stock chart with the SPX HI-LO indicator. The indicator shows extremes, which coincide with the peaks and troughs in the index. Here are three ways traders can use the new high new low indicator. Because the indicator tracks the components of the exchange, it is best used on an index like the Nasdaq or S&P 500. 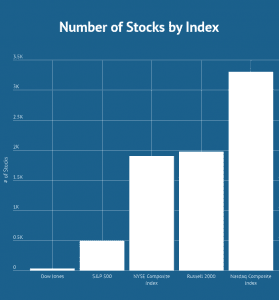 By tracking an index you can invest in the broad market by buying an ETF or futures contract. You can use a sign of 50+ on the new high new low indicator in combination with a cross above the 10-period simple moving average. 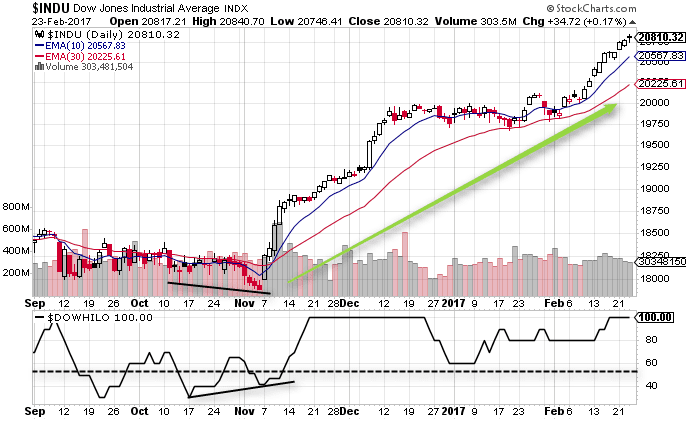 The chart below shows the SPX applied with the 10-day simple moving average with the new high new low indicator. 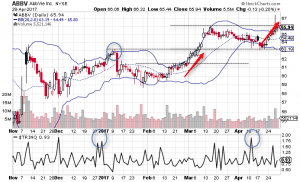 In the region marked, you can see that the indicator is above 50, and this is later confirmed by price trading above the 10-day moving average. It is up to the trader from here on as to whether they want to hold their position or book profits quickly. 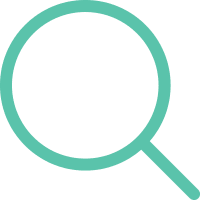 In this strategy, the focus is not to confirm whether the market high is validated by the number of stocks making new 52-week highs but to use the 50-level in the oscillator to see which way the market is biased. A reading between 50 and 75 is a fairly good indicator that the market sentiment is bullish and thus traders can buy into the rally. The bullish bias is even stronger when other indicators such as moving averages validate the move. The Donchian channel indicator makes for a great addition that compliments the new high new low indicator. The chart below shows the 20-period Donchian Channel applied as an overlay on the chart with the new high new low indicator. With the Donchian channel strategy, the trading rules are simple. Buy when price breaks out above the 20-period high and the new high new low indicator is above 90. 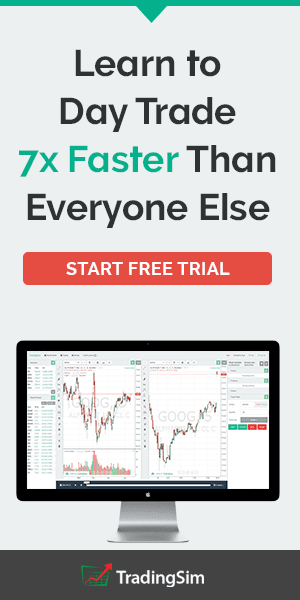 You can, of course, configure this value to fit your trading style. The blue arrows show potential levels where you would have been long. Once the new highs lows ratio is above 90, in this example and price breaks above the 20-period Donchian channel, you can place a long position and hold until the new high new low indicator dips below 90. The first section shows a long position from around 2180 on November 21. 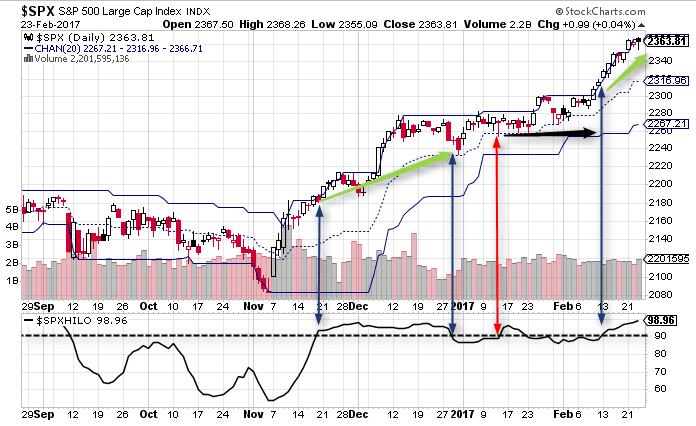 The position was held until we got an exit trigger at 2240 around December 27, thus giving a 40 point move. Following, the red arrow shows the area where you would have remained on the sidelines as there was no breakout in the Donchian channel at the time the new high/new low indicator was above 90 or vice versa. 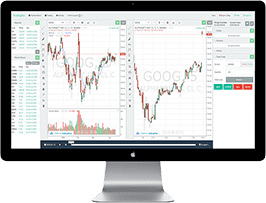 The more recent signal came around 12th or 13th of February with a long position at 2310 with the long position still held while the S&P500 is at 2363.81. The new highs lows ratio can also be used as a divergence indicator to spot any discrepancies while also applying as a confirmation for a bullish moving average crossover. The next chart below shows the divergence as the Dow Jones Index falls to make a new low, but the new high new low indicator shows a higher low. This is later followed up by the bullish moving average crossover and validated by the new high new low indicator above 50 and rising. As you have heard in the above strategies, there are many different uses with the new highs lows ratio. As a day trader, you don't need to obsess the movement of the indicator. Regardless of which approach you land on, you will need to go back and test the signals. 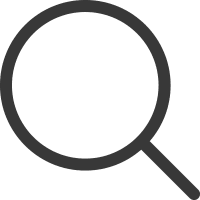 You may uncover signs that will help navigate the current market uncertainty.